We do ship all orders within Ireland by Express Post or Standard Post. All orders placed before 21st 1pm will be delivered by Monday 24th (Express Post). Don’t wait till last minute!! Happy Shopping!! All items will be shipped out within 24 hours after payment has been verified. 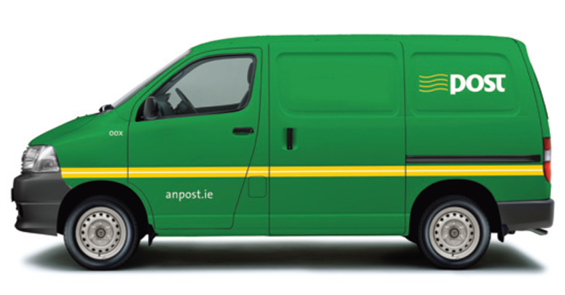 Unless otherwise agreed all items will be shipped via Express Post (Irish AnPost). All orders placed on weekends and Bank Holidays will be shipped out in 72 hours. All our Stock is in Ireland, so all orders are delivered in Ireland within 24-48 hours. We will provide tracking number with every order. We will not take responsibility for item loss due to wrong or unknown address , delivery delay or items lost in transit. We offer fixed rate of €6.75 for shipping within and Republic of Ireland and outside ROI we offer €11:00 fixed rate. Any questions regarding postage please contact us!